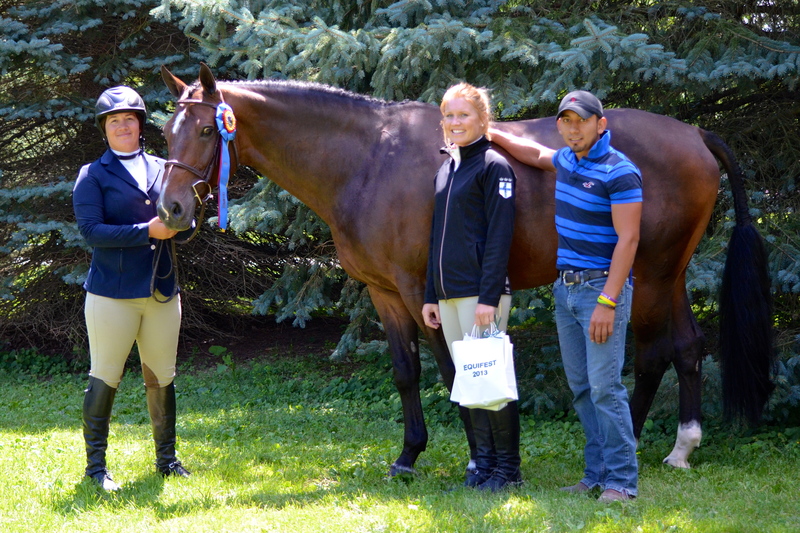 Oconomowoc, WI – May 1, 2016 – Integrity Farm, Oconomowoc, Wisconsin hit the top of several national United States Hunter Jumper Association (USHJA) standings lists early on in the 2016 horse show season. Trainers Kathleen Caya, Natalie Hansen and Robert Cheska are responsible for the success of the farm’s riders and horses. Caya is currently the leading rider in the USHJA Pre-Green Incentive National Rider Standings with earnings of $7,252.50, edging out riders Peter Pletcher, Texas, and Jennifer Alfano, NY. Caya earned her spot at the top of the list with several horses including two of her own, Zorro and Icali. The Integrity Farm Team and Icali. Zorro, a seven-year-old warmblood, stands in second place on the standings list in the Pre-Green Gelding/Stallions division and third in the National Pre-Green Horse Standings Overall. Zorro also holds the top spot on the Zone 6 Horse of the Year Standings for the 3’3” Pre-Greens and Icali is first on the list in the 3’ Zone 6 Pre-Greens. Other pre-green rides for Caya include Lynelle SCF owned by Spy Coast Farm, Kentucky, Calvin owned by McKenna Nagy of Pewaukee, Wisconsin and Valcony, owned by Melissa Hirt of Michigan. Mary Grossman and Benvolio at the WIHS 2015. Photo Shawn McMillen. Not only is Caya on the national standings lists, but several of their customers are as well. 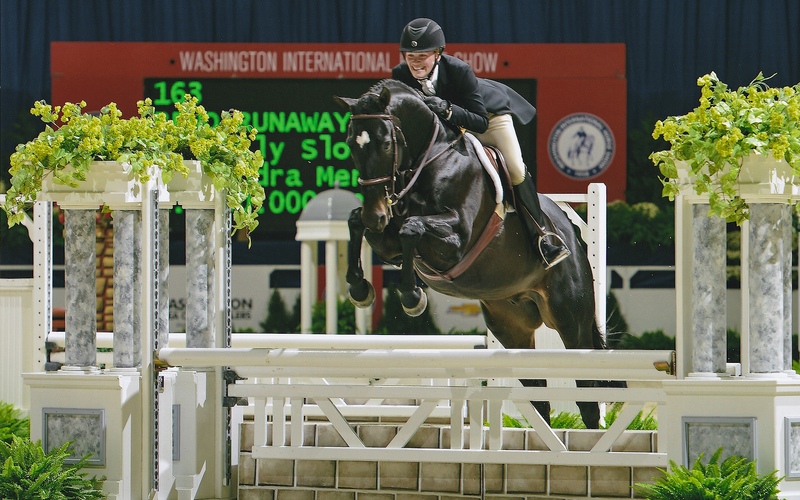 Mary Grossman, Burlington, Wisconsin and Benvolio hold the second place spot on the Washington International Horse Show (WIHS) Amateur Adult Hunters qualifying list and are third in the North American League Adult Hunters. Grossman has had two top 12 finishes in the last two years at the WIHS and is knocking at the door for another top finish in 2016. 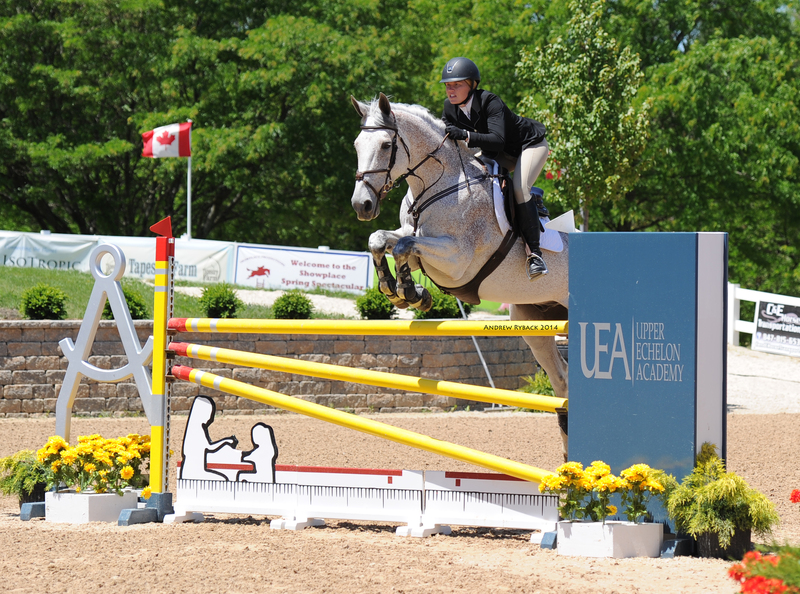 Benvolio, the 13-year old Thoroughbred gelding, also has the second place spot on the USHJA Zone 6 Amateur Adult 50 and over standings list with the busiest part of the show season yet to come. Customer Susan Schmitt, Oconomowoc, Wisconsin and her horse Connelly lead the USHJA Zone 6 standings and are right behind Grossman in the WIHS standings, adding their name to the number three spot on the Amateur Adult list. With numerous wins in the division, Schmitt hopes to be taking that trip to the finals this year with her 13-year old Holsteiner. 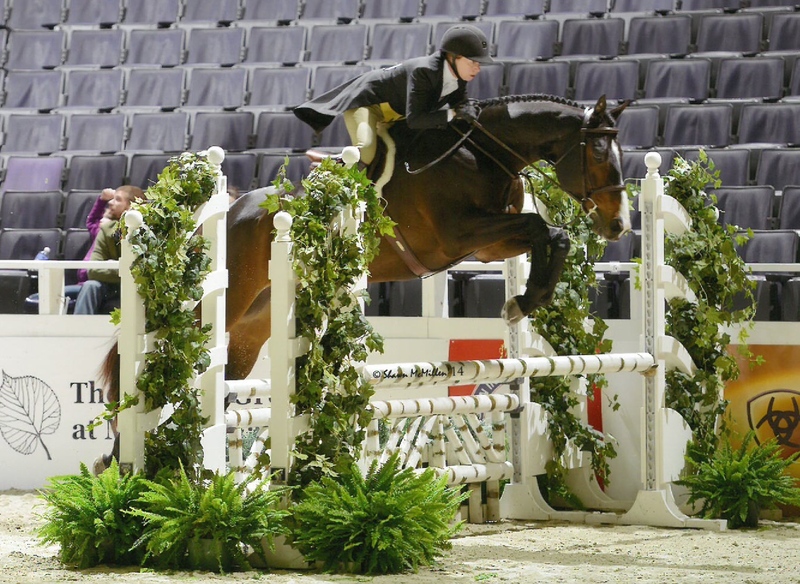 Emily Slotwinski and Reno Runaway at the WIHS. Emily Slotwinski, Brookfield, Wisconsin and Reno Runaway are also in the qualifying spots right now in the WIHS Amateur Adult standings and Mckenna Nagy, Pewaukee, Wisconsin and Calvin, a nine-year-old warmblood, is 19th in the children's hunter division for the WIHS. Calvin earns top prizes in the Pre-Green Incentives with trainer, Caya, aboard, who keeps him ready to go for Nagy. 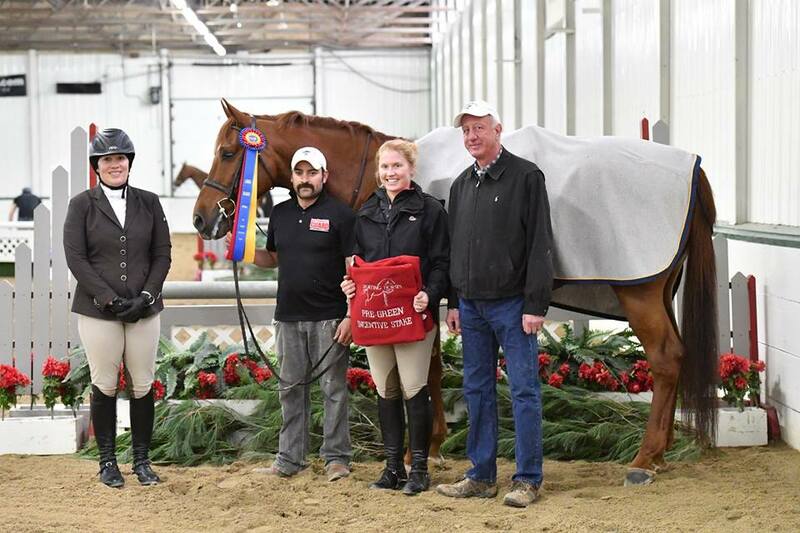 Kathleen Caya and McKenna Nagy's Calvin winning the Pre-Green Hunter Challenge and Incentive Stake at the Showplace Productions' Spring WarmUp Show. Photo Andrew Ryback. 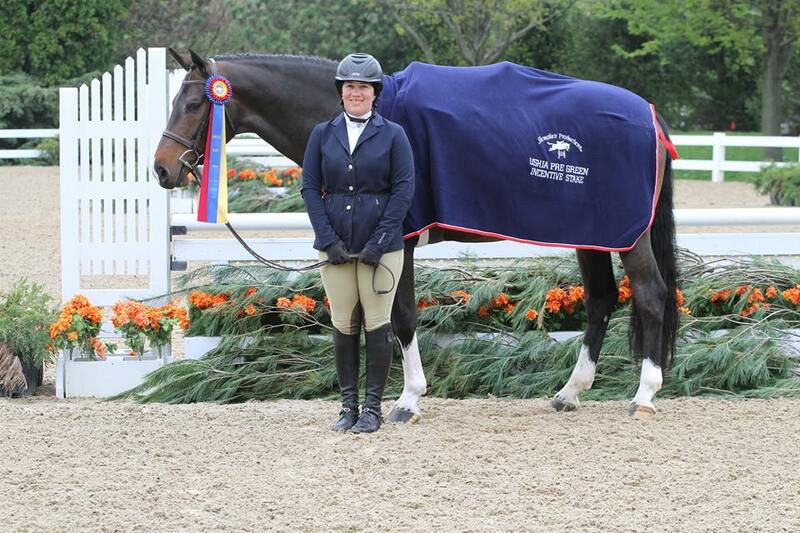 Hannah Rose Eagan and Oliver Twist are qualified for the 2016 pony finals. Photo Andrew Ryback. 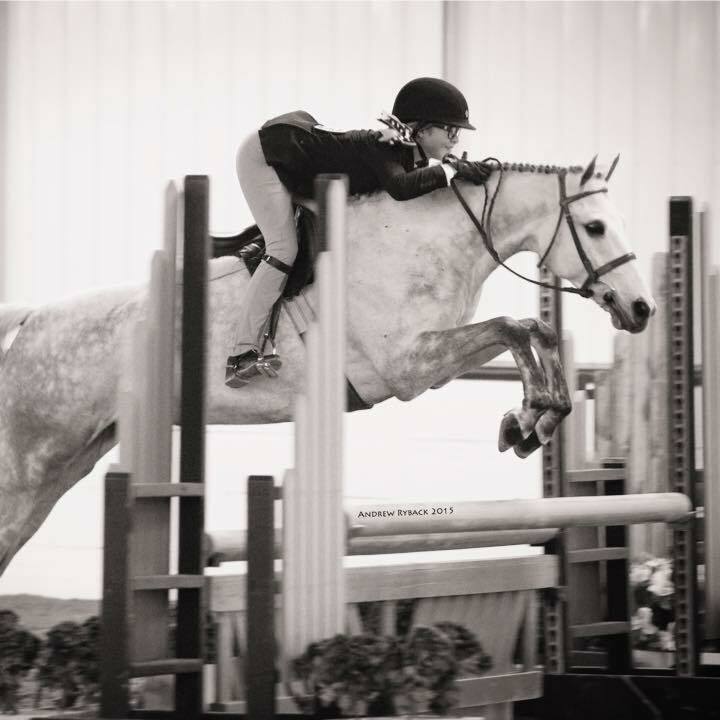 Rounding out the standings lists for Integrity Farm is Hanna Rose Eagan, who has her two ponies, Oliver Twist and Rosewood qualified for the USHJA 2016 Pony Finals. Oliver Twist is also third in the Large Pony Hunters for USHJA Zone 6 and Rosewood is second in the Medium Pony Hunters for the zone. 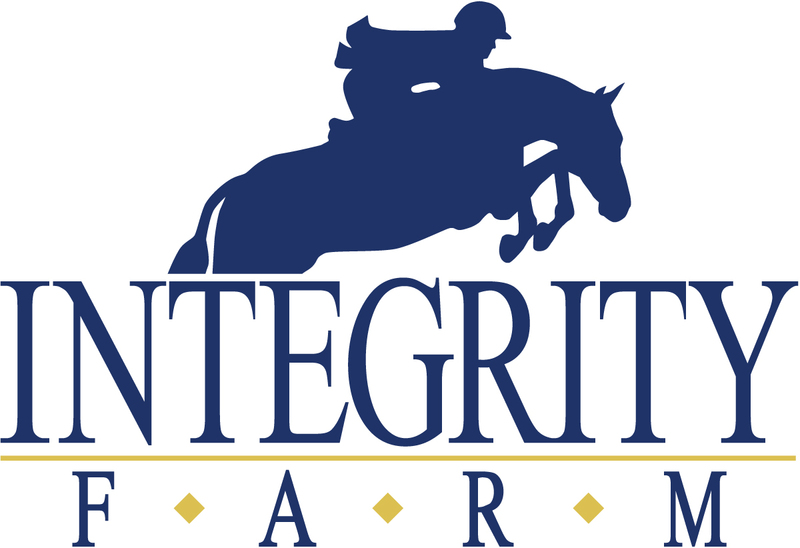 With the summer show season just around the corner, Integrity Farm plans to attend Showplace Productions’ Spring Spectacular in June, hoping to rack up more points to keep those top spots in the standings. Assistant trainer Natalie Hansen was recently a finalist in Horse & Style Magazine's Assistant of the Year Contest. Photo by Andrew Ryback.